Dissolve Debt > Blog > Credit Cards > Credit card fees – what are you paying for? 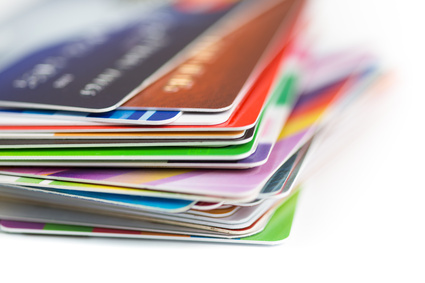 Credit card fees – what are you paying for? Has an annual fee suddenly appeared on your credit card? If not then it may do soon. In May last year, credit card companies had a spanking from the Office of Fair Trading. Their lucrative penalty fees were capped after the OFT ruled that any late payment or unauthorised borrowing charge levied by a credit card provider was likely to be illegal if it totalled more than £12. Most lenders had routinely charged between £30 and £40. Now it is revealed that profits made by Britain’s credit card providers almost halved last year as bad debts increased and the effects of the OFT’s ruling kicked in. Banking analysts Lafferty said UK credit card providers made total profits of £1.16bn in 2006, 43% less than in 2005. Boo hoo. Except now card issuers are increasingly changing the terms and conditions of cards to recoup the lost revenue. The latest method is to bring in an annual fee. The most common benefit is annual travel insurance, while others include purchase protection or discounted offers. But as with any benefit it’s worth checking that it is something that you will actually use and gain some benefit from. Take the travel insurance offered on these cards for example; many will require you to pay for your holiday with your card, which in many instances will incur a transaction cost, ultimately meaning that it could have been cheaper to buy your insurance independently. And before you travel, check the policy covers all you need. Is it worldwide or just for Europe? Does it cover an individual or your family? Does it cover winter sports? Are existing medical conditions covered? What are the maximum payouts? Britain’s biggest card firm, Barclaycard, is the latest to threaten annual fees, starting with around 1million ‘inactive’ cardholders who could be told to use their card regularly if they want to avoid a fee. “We are considering a fee for a minority of customers who simply do not use their card. Details aren’t yet final but we expect the amount to be between £10 and £20 – less than £2 per month,” said the company. It declined to say what will constitute an ‘inactive’ cardholder and argues that the cost of maintaining unused accounts is borne by regular borrowers, but analysts said the fees could raise up to £20m a year for the company. Barclaycard will be follow a developing trend if it decides to introduce the fee. Lloyds TSB has hit ‘inactive’ borrowers with a £35 fee on 50,000 accounts which provided them with £1.79million in just one month. From the beginning of this month, Morgan Stanley introduced a £20 fee for some of its Black card customers who do not use their card regularly enough. MBNA has warned those who have overpaid a bill, leaving a credit balance on their account for 12 months or more, that they must pay the £10 penalty unless they transfer the cash, spend it or donate it to MBNA’s favoured charity (insert obvious joke here) by the end of March. Financial-research firm Defaqto believes annual fees on credit cards will become the norm by the end of this decade. Already one in eight credit card companies have at least one credit card with an annual fee, according to new analysis by MoneyExpert.com. Its figures show that the highest fee is £275 a year and the lowest £24. However despite paying for the privilege of using a credit card, customers of fee-paying cards aren’t getting deals to match. Only two cards offer any kind of introductory offer on balance transfers or purchases, at a rate of around 5.5% for six months. The average standard APR on balance transfers is 16.78% and on purchases is a staggering 27.1%. “We thought we’d seen the end of annual fees on credit cards, but we think there could be a return sooner rather than later,” says Sean Gardner, Chief Executive of MoneyExpert.com. Credit card companies will be under pressure to improve profits and reduce bad debts, and that could mean finding customers who are prepared to pay for credit. MoneyExpert.com’s research shows the average standard APR on balance transfers across all credit cards is 16.16 per cent, and 16.74 per cent on purchases. There are now 156 cards on the market with 0% balance transfer deals with the best offers lasting 12 or 13 months. Worldwide Travel Insurance, Baggage loss (up to £500), Flight delay (up to £500), 1 year extended appliance warranty, medical insurance and free purchase protection. Free independent financial advice, discounts on holidays booked via the Co-operative Visa Travel Club and £100K of travel accident insurance. Travel service, worldwide travel insurance, lost/delayed luggage (up to £1.5K), Travel inconvenience insurance (up to £750), £100K of Travel Accident Insurance and Free purchase protection, Travel and hotel savings plus concierge and priority pass service. 24hr travel assistance, worldwide travel insurance, lost/delayed luggage insurance, flight delay/cancellation insurance, concierge service, priority pass to airport lounges, £350K of Travel Accident Insurance and free purchase protection.